Here are a few notes to get you started on your UV5R, and I hope you find these useful. I purchased my UV5R over the internet from a UK supplier. It came complete with the USB drivers CD and the programming cable. I then had to download the programming software. I went to the Baofeng web site for this. It downloaded with no problem. You don’t have to use a PC to configure your transceiver, but it helps. If you wanted to setup your transceiver via the units own keypad. The info that follows will take you through the procedure. There are a couple of options that are turned on by default that it’s best to turn off. Having these on will make operating the radio annoying either to you or to the people you’re talking to. Press “Menu”, “3”, “5”, “Menu”, “0”, “Menu”. Press “Menu”, “3”, “6”, “Menu”, “0”, “Menu”. Press “Menu”, “3”, “7”, “Menu”, “0”, “Menu”. Press “Menu”, “3”, “9”, “Menu”, “0”, “Menu”. When the Menu key is pressed, the radio will say “Menu”. This key also functions as “Enter”. Thus, after modifying a menu option, press the Menu key again to accept the change. The radio will say “Confirm” to acknowledge a change in a menu’s parameters. Also be aware that the menu will stay active for a good 10 seconds after changing a menu option. Thus, if you’re changing several menu options in a row, it may not be necessary to press the menu key at the beginning of each operation. You’ll know that the menu has exited if the radio beeps after a length of inactivity in the menu. You can set the frequency by using the up/down buttons or by entering the frequency or channel number directly. Note that the numbers speak when pressed. Enter six digits for frequency, i.e. 146520 or 444100, and three digits for the channel number, i.e. 001, 024, or 114. For frequencies in a 6.25 KHz channel spacing, like 467.7125, enter six digits, such as 467.712. If you have the channel spacing (Menu 1) set to 6.25 KHz, the radio will set the channel correctly. 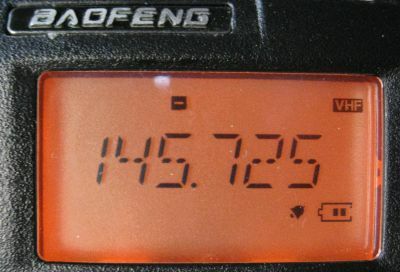 For frequencies in a 2.5 KHz channel spacing, such as 154.5275 set the radio to 154.525 and, with a 2.5 KHz channel spacing (Menu 1, option 0) press the “Up” button once. See the menu section below for a more complete discussion of setting menu parameters. You can program memories either with a standard split or with odd splits. Remember that once a memory is programmed, it cannot be changed, short of deleting it and starting over. Memories store receive and transmit frequencies, along with receive and transmit CTCSS or DCS codes, power level, and channel width (wide or narrow). Power level can be temporarily set to its other value, i.e. the one not stored in memory, by pressing the “Lock” key (the # key on the keypad) while in memory mode. The power level will revert to its stored value if you switch channels, press “Lock” again, or turn the radio off and then on again. Note that this trick to temporarily change power levels only works if TDR (dual watch, Menu 7, discussed earlier) is set to “Off”. Choose the “A” frequency, printed on the top line of the display. This is probably already done, but if you go through all the steps to program and get a single beep upon the final press of “Menu”, you are in the B VFO and need to press the “A/B” button. . If you are in channel mode, press the channel/frequency button. Remember, channel mode will speak the channel number if you press the “up” or “down” button. Ensure you are on the correct band. If you enter a frequency and the radio says “Cancel” when you press the last digit, press the “Band” button to select the correct band. Enter the repeater output frequency, such as 147060. Press “Menu”, “2”, “6”, “Menu”. The radio will say “Offset frequency”. For 2 meter repeaters, enter 00600. For 70 cm repeaters in the US or Canada, press 05000. This may be different in other parts of the world. Press “Menu” to confirm the offset amount. The radio will say “Confirm”. Press “Menu”, “2”, “5”, “Menu”. The radio will beep but will say nothing. Remember that the first press of “Menu” may not be necessary if the menu has not exited. Press “1” for a plus (positive) offset, or “2” for a minus (Negative) offset, then press “Menu”. The radio will say “Confirm”. Set the CTCSS or DCS codes for transmit and receive, as appropriate. These are in menus 11 and 12 for CTCSS and DCS receive respectively, and menus 13 and 14 for CTCSS and DCS transmit. CTCSS tones can be entered directly; for instance, enter 885 for an 88.5 Hz tone, 1318 for a 131.8 tone, etc. See below for a list of DCS codes. If the menu has exited, indicated by two very short bleeps, one higher followed by one slightly lower, press the Menu key to re-enter the menu. This should not be necessary often, as the menu stays up for close to 10 seconds before timing out. While in the menu, press 2, 7, Menu. The radio will say “memory channel”. Enter a channel number from 000 to 127. However, be sure not to use a channel number that has already been programmed since the radio will not let you overwrite a stored memory. Programming over a channel with data in it will simply change that channel’s transmit frequency. Once the channel number is entered, press “Menu” again. The radio will say “Receiving memory”. Press the “Scan/Rev” button. This will swap over the transmit and receive frequencies so that they are reversed. This is handy for listening to the repeater’s input channel, in order to determine whether a station is in simplex range or not. Press “Menu”, “2”, “7”, “Menu”. The radio will say “Memory channel”. Enter the same memory channel you entered above in step 12. Then press “Menu” again. The radio will say “Transmitting memory”. Press “exit”. You’ve set up a repeater channel. You will find it in your list of program channels when you switch to channel mode. Alternatively, you can specify your own transmit and receive frequencies. In brief, you would program in the receive frequency first, then program in the transmit frequency in the same way. This may be more reliable, since only the “A” display works for programming memories, thus, the radio can only remember one offset value for programming purposes. It does not store a separate offset for VHF and UHF either. For this method, the offset value (memory 26) and offset direction (menu 25) don’t matter at all. To demonstrate, here is how you would program in the infamous 147.435 repeater in Los Angeles into memory 99. This repeater has an output frequency of 147.435 and an input frequency of 146.400, a decidedly very odd split. As there is no CTCSS tone, we won’t worry with that in this example. If in channel mode, press the VFO/Mem button to switch to Frequency Mode. Press 1, 4, 7, 4, 3, 5. 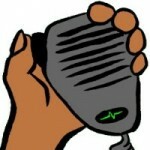 To be thorough, be sure that no CTCSS or DCS tones are set from a previous operation. Set menus 10, 11, 12, and 13 to 000. Press Menu, 2, 7, Menu. The radio will say “Channel Memory”. Then, type 0, 9, 9, Menu. The radio will say “Receiving memory”. Press “Exit” to exit the menu. Press 1, 4, 6, 4, 0, 0. Press menu, 2, 7, menu. The radio will say “Channel memory”. Press 0, 9, 9, Menu. The radio will say “Transmit memory”. The odd split is now programmed. Again, remember that you can use this same procedure to program standard offsets, too. As long as you know the repeater’s input and output, you can program them separately if you wish, and not worry about the repeater offset menus. You can switch easily between VFO (“Frequency”) mode and memory (“Channel”) mode by pressing the top most button on the front of the transceiver, labeled “VFO/Mem”. The voice will tell you whether you are in “channel mode” or “Frequency mode”. Channel mode must have at least one channel programmed; there are at least two programmed from the factory, probably more. Incidentally, it’s probably a good idea to delete those channels and put your own data in them immediately. Deleting channels is done with menu 28. A channel can be directly set by entering it’s three digit number on the keypad, such as 005, 022, or 122 for channel 5, 22, or 122 respectively. The new channel number will be announced via a voice prompt. All menu options can be adjusted from the keypad. You can either scroll through the menu with the up/down buttons, or by directly selecting the menu option you want numerically. So that you can most easily keep track of where you are, I believe selecting options numerically is easiest, as there is, again, no audible indication of when the beginning or end of the menu is reached, and the menus wrap. Note that the menu begins with 0, not with 1. Menu 0 is the squelch adjustment. As with selecting menus, the menu options can be adjusted numerically. For instance, selecting menu 2 (to adjust the power level), press 0 for high power or 1 for low power. For offset direction (menu 25), you can select 0 for no offset, 1 for a plus offset, or 2 for a minus offset. So, as menu options below are listed, the first option is always number 0, not number 1. To adjust the menus, press the Menu key, which is the first key on the first row of the main keypad. You will hear “Menu”, at which time you can then enter a menu number or press the up/down buttons. Once you reach the menu you want, press the Menu key again. In most, though not all cases, you will hear voice confirmation of the name of the menu item you have selected. In the cases where you do not hear a voice confirmation, you will just hear a beep. Adjust the parameter by pressing numbers or up/down arrows. Once the menu is set correctly, press the Menu key again. You will hear the word “Confirm” spoken to indicate that the option is set. You can then choose another menu item or press the “Exit” button to exit the menu. If you do nothing for about 10 seconds, the menu will exit automatically. In either case, you will hear a tone to confirm you are no longer in the menu system. After loading the UV5R drivers, follow the setup instructions that came with your transceiver, to check that the drivers have been correctly installed on to the PC and that is has setup a Com Port on the PC. (Usually port no. 4 but can go up to port 8). I found setting the unit up via a PC to be the best way, as it is a lot easier to set channel names and setup the frequencies (including repeater off sets) and the CCTSS config. If it does update the drivers, I found I couldn’t get the transceiver to talk to the application. In fact the application gives an error message telling you that can’t communicate with the transceiver. I also found that if the programming cable is not connected to the PC the application will load but will not link to the transceiver once connected. Now the application has started it time to connect the UV5R to the programming cable. The application has a standard windows style tool bar. File, Edit, Program, Communication, Language and Exit. A step not to be mist is to set the USB com port number within the application. Once you have overcome all those little problems, it’s time to start programming your UV5R. There is a language setting to be switched to English. Set this on the tool bar. The order of the frequencies, repeaters etc is completely up to you. 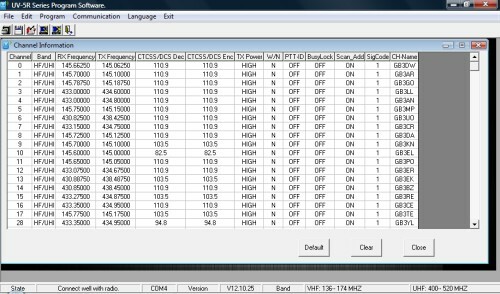 I set the repeaters from channel 0 towards 127, and the 2M and 70cm simplex channels from channel 127 towards channel 0. But that’s the way I have setup my unit. Back to your tool bar or ctl+w. This will upload the configuration. You are ready to go. You don’t have to program the unit all in one go. It is something that can be setup and saved for uploading later. If you are doing your configuration this way you don’t need to connect the programming cable to the PC. As you will not be loading the configuration to the unit at this time. But at a later date, where you will require to go through the upload procedure, after opening the file in the application to be loaded. One more thing. The biggest drawback with the unit is the small rubber duck antenna that comes with the transceiver. I suggest you buy a replacement antenna off the web. There is a good range of replacements. Try and find a ¼ wave whip type. It will improve the range you can work. Thanks again to Steve for submitting this excellent article. We hope it helps. The original article “Baofeng UV-5RTips And Hints For Eyes-Free Operation” by KB5ELV, Buddy Brannan deserves a bit of a mention here I think as Steve’s pasted 90%of it verbatim! Just a quick note that if you purchase the UV5RC with the programming cable option from the web, CHIRP (free) programming software (http://chirp.danplanet.com) is capable of taking existing tables created for you other transceivers and converting directly for this handheld unit complete with all splits and tones effortlessly. Useful as it keeps the same channel number across all your rigs and is much easier to use than that supplied on the disk. Darren, this is the website which has all of the UK Repeaters on excel, and you are able to save as CSV which Chirp can use to program your radio. Worth a mention, if you are using Chirp to program the UV5R you can do it in CHIRP format at..
the /ftb/ option is for the Yaesu radios. Thanks for the link. I have tried to upload the Chirp file in CSV to my Windows 10 machine with the newest version of Excel but cannot get it to work. Is there a later version of the file to try please? Could the squelch be set too high, perhaps? to VHF frequencies In the very rare case that I am questioned about owning this radio I would like to be able to explain that I have disabled the VHF capability. theyre always spoiling the fun!! everywhere but Australia!!! do you require a license what is the restrictions on using it? I want to program the following DPMR frequencies throught CHIRP or Manually. Can someone explain how if its possible. It’s possible to program the Baofeng to receive PMR frequencies, either via software on a computer or direct on the radio itself. Thanks for your reply. I have to input the frequencies above but i can’t input the exact frequrency in. Please try and see. Check your frequency step settings – You’ll need 6.25kHz for the PMR frequencies – Do this from Menu Option 1 (STEP). I assume you’re aware that dPMR is digital radio format, and the Baofeng is an analogue radio? This Baofeng will not work as a dPMR transmitter. As it won’t work as a transmitter, I assume you’re only interested in receiving the data signals used for dPMR? If so, you won’t be able to tune to the exact frequency (which has six decimal places) as your radio only handles five decimal places. You should be able to tune very close to the precise frequency, which will let you receive the signals, but slightly off frequency. Obviously, don’t transmit – as a) you can’t transmit digital from an analogue radio, and b) you’ll be transmitting on an adjacent channel. I’ve been out of radio for quite a few years and having bought the rig I found the operating ‘manual’ of little real use. This guide has been a great help. Thanks! Anyone know why I can no longer change channels in channel mode? When I got it, I was advised to make sure I reset the radio… when I did it went to Chinese (which I easily fixed) but now I can’t scroll through the channels. Anyone know how to fix this? I had a frind program my call sign into my Baofeng UV-5R plus radio so that it show when I first turn on my radio. I have since changed my call sign and would like to reprogram my call sign to show when my turn my radio on. Can some one give me the instruction on how to do this? Good afternoon, I have a Baofeng UV-5R and would like to program to lower frequencies, 100000-178000, but I have no cable, can someone help me set by the Baofeng own keyboard ?? 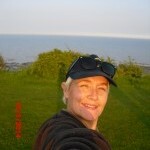 Hi Chris – I can’t see a setting in Chirp or on my Baofeng that enables you to disable transmit. You can set output power to “low” and use the memories to set a different transmit frequency, if that helps. To make it a scanner, just don’t enter the transmit freq,only the receive side and for that pair, there will be no transmit available. Also set to low power as an additional protection though if there is a frequency there, it will be able to transmit a low power signal. Okay thank you,as I am a newbie,I just want to listen and not get in trouble by accidently transmitting so how would I do this manually ? On the radio, the transmit power is menu option 2 (labeled TXP), and programming a memory is outlined in the main article. You can use the radio in Utah w/o a license…just don’t transmit. The UV5R makes a great scanner. Just Google for the local frequencies. Even better, contact a local amateur radio club and get your technician ham license. All the sample test questions pool are also on line. It’s really not that difficult…mostly rules and regulations. Hi Steve. The radio is capable of transmitting on a wide range of frequencies, many of which you could get in trouble for using without an appropriate licence. What frequencies were you planning to use, and did you have a specific purpose in mind? Hello. I just purchased this particular radio and was able to program the frequencies that I am wanting to be on; however, when I push to transmit the radio begins to transmit on 000.000. Not to mention that I am receiving no transmissions that I know are going on. All of the frequencies I have programmed in are EMS/Fire in my county. I could use all the help I can get. I was able to program my radio to transmit on the frequencies that I was having problems with however I still am unable to receive; any ideas? Hi Pete. So I was able to get my radio to receive and transmit where I work; however, when I get into the town limits of where I live (approximately 20mins away) I only get static and a few garbled transmissions; although I do receive two NOAA stations loud and clear. Any ideas on what I might be doing wrong? Or could this be another issue? That sounds like a range issue. Handheld radios typically have a limited range – From the top of a hill, I’ve managed about 20 miles, but in a town environment with building around, little more than a mile. Depends on the obstacles between you and the other station. Connecting the unit to a rooftop aerial, or a mag mount for the roof of your car (if mobile) will make quite a bit of difference to range. The repeater that my radio in town is pinging off of is approximately a mile away in the next town. The repeater at work is several miles away. Not to mention that there are other individuals in town that work EMS and use their radios in town on a regular basis that are not having this problem. Im lost and frustrated and seriously considering sending this back. These radios and built to a budget, so aren’t as great as more expensive radios by the less-budget manufacturers. Antennas make a big difference too – Not sure what frequency you’re using, but the antennas are better on some frequencies than others. If you’re able to transmit and receive at close range, but not further away – it indicates that the radio is programmed and configured the right way, but the aerial and/or operating conditions aren’t good enough to make the distance. 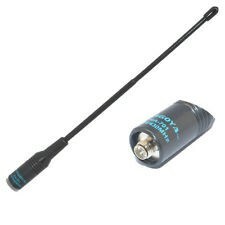 I bought this as I will be going on a pilgrimage so to speak in Nepal,then South America ,I have never used a ham radio before and only purchased it after advice from fellow travellers,at the moment I only want to enable this device to be able to listen only as I don’t have a licence to transmit,so I would like to know two this,what is the procedure on getting a licence and how much would this cost as I would need to transmit if in difficulty whole abroad and second how can I set this up to just listen without a licence in the meantime,I am willing to take any course in the future as I am told this is a valuable piece of kit regarding explorers and travellers,many thanks in advance. In the UK, the best way to get a licence is with the help of a local club. You can find your local clubs here: https://thersgb.org/services/clubfinder/ – If you’re in Essex, this site can help to get you in touch with a local trainer, or we can arrange for you to come along to a local event and discuss courses and the hobby in more detail. Fees vary depending on clubs – A typical Foundation course, book and exam costs £40-£70. It’s important to note that if you want to operate outside of the UK, you need to get the Full licence, which means sitting Foundation, then Intermediate. Once you have the Full licence, you can operate in other countries, but subject to the rules of that country’s radio laws and licences. If you are operating from within UK but speaking to eg US (ie through DMR) is a foundation sufficient? The Baofeng UV -5R is not a DMR radio, so you can’t make contact with the US using DMR from this radio. A UK Foundation licence will allow you to contact other licensed amateurs from around the world, but the licence can only be used to transmit from the UK. Chris, you can certainly listen. Either try 145.500, which is the “calling channel”, or tune in to the output of one of your local repeaters (See http://www.ukrepeater.net/. Candidates who listen before attending the course tend to do well, as they are comfy with procedures and on-air language. I couldn’t find in the manuals and web how to reset it back to English. Does somebody know a trick ? Hi, if you have not found the answer thus far then try this. 1) Press menu and use the up arrow next to the menu button to select menu 14. 2) Once menu 14 (voice) has been selected then press menu once more. This will then let you use the up/down arrows to select either English/Chi or off from the screen display. 3) select English then press menu again and your UV-5R is set to English. 4) press menu a second time after the language is set to English and the radio will revert to the usual VFO/MR screen. You can of course just dont press anything after setting the language and the radio will revert to the usual screen setting on its own after a few seconds. Hi Everyone, has been great reading this, as the supplied manual is not much use! Problem with CHIRP. My UV5RC arrived today and I congifured it OK. I programmed CHIRP with repeater freqs, but it won’t upload. It’s CHIRP 0.4.1. Problem is that it seems to be a different version to the one shown above. There’s no Communiction button. All there is is a Radio button, but with the option to Upload to Radio greyed-out. I’ve been to the Baofeng website, and have checked the firmware, BFB297. This apparently is too high for the Baofeng software, so I have to use CHIRP. My mistake was to create a new .CSV file with repeater info; CHIRP recognizes it, but it can’t be uploaded. The trick was to download the existing default config, in .img format, and edit this. By doing this, I could get at the Settings tab. I saved this config under a new name, and edited it with my repeater settings. Shame that I can’t find a way of converting the Excel .csv file into a format that the rig will understand. Try downloading from your radio, then importing the CSV file, then uploading to the radio. I have several similar radios, but this is the only way to handle all of them with the same CSV file. What does the band selection (menu 33) do? It’s easy to select a UHF or vhf frequency in frequency mode so why does it have its own menu. What use is it?! Hello can someone help..I have bought the baefong UV 5r and I have deleted all the channels that I don’t need and I have put four of my own desired channels 454175 454250 454300 454700 but they are not scanning. If I leave it in steady position it works but its not scanning the other channels. Can anyone help how this works in scanning position? I have used the CHIRP software courtesy of DanPlanet. I have used it to program my UV-5RA. I have, I think, appropriately input the correct information into the software and uploaded to the radio. The offset setting resets itself during the transfer from the computer software to the radio. Does anyone have any idea why that happens and how to change that fact and stop it from happening? My Baofeng Radio UV5R Is Locked Up and cant do anything with it. Stays in the Red and all it does is beeps at me. Best advice is to try a factory reset, either via the menu or using a programming lead – See http://forums.qrz.com/showthread.php?395985-How-to-reset-a-Baofeng-UV-5R-without-using-the-Menu-button for a discussion on how to do this. would anyone be able to help me, please? Just got a UV-5R, and am having a “clicking” issue when receiving on e.g. 446 PMR. Am testing using my daughter’s (surprisingly good) cheap Binatone Action 1100 PMR446 handset for TX. When receiving this on the UV-5R, although I get very good quality for her, I also get an annoying erratic “clicking” over the top of her voice. It seems to get worse as I move the radio around, shake it, etc. There’s a few clicks every few seconds, seems quite random. This is about 30′ away down the garden, only, with her in the house. I can receive her fine, no clicking, on another Binatone, and on two Mitex PMR, without any clicking, so it would seem to be the UV-5R at fault? This happens with both the stock aerial, and an NA-701, so it’s not the aerial. Tried a few different PMR446 channels, no difference. Any suggestions please? I’m not yet familiar with the UV-5R, so perhaps I’ve got a setting wrong somewhere? Hello, I have two questions. First, I have a transceiver that that I scan with and transmit on. When I transmit the scan mode goes off and I have to manually reset the scan button to scan mode. Is there a preset that will cause the unit to return to scan on it’s own after e few seconds when I am done transmitting? Set radio to Narrow band. Menu 5. This will help reject unwanted inference. BUT. Won’t stop strong signals like Pagers and data traffic. There is no fix for the scanning setting. Once your press the PTT is halts the scanning. Hi, Just received my UV-5R, but am having issues connecting to CHIRP so wondered if anyone could help? I’ve installed the driver 31/07/07 3.2.0.0 Prolific. In Device manager all is good. No yellow warning. It’s on Com 4. It does try to get data, but the screen shows all characters, and then resets. If I unplug the USB cable from the computer while still plugged into the Baofeng, it sticks on transmit. I’ve tried different volumes on the unit from low to high, connecting in different orders to PC, plugging in powered/non-powered, plugging in on a channel in use, and not in use, but noting seems to work. Try going to their website. I did, got mine working and programed. Go step by step. You’ll be just fine. I’ve ordered a better looking more expensive cable to see if that’s the issue. I get that sometimes with my cheap uv5r lead I just hold it in tighter and it works fine. Sorry this happened to you. This also happened to me. You got locked out. You can not do anything with it. Just return it and get another one. I now have 3 portables, and 2 mobile units for my business. They are really great radios. I have a couple of Baofeng radios (UV-5R and BF888S) along with a couple of older FDC radios (150A and 450A) and recently tried to program in the UK PMR446 channels for receive only on the UV-5R. I noted all the options for turning off CTCSS and DCS tones in the software (I used Chirp) and progammed the frequencies with no problems. However, with a PMR446 radio in the same room as the UV-5R, I wasn’t picking anything up on any of the 8 channels….it was only later that I noticed if I pressed the MONITOR button to defeat the squelch then it received fine….I know that the PMR446 had no tones set as the model didn’t have that option and the BF888S also programmed with the same channels in exactly the same way as the UV-5R worked fine…..what am I missing here? Any ideas please…..
Maybe this is a stupid question but, the 5R+ has 127 memories. There are two memory channels for each number ( channel 1 A and 1 B) How do you program B from Chirp? Is there 254 channels (127a+127b) we can program? B channels are the same as A. The freqs of channels 1-127 on A will be the same as for B. You don’t have 254 freqs available to program. This way you can be on channel A5, but monitor B64 for radio traffic. Hi, I’m hoping you can help me, this may seem a stupid question but I cant seem to find a straight forward answer regarding these units. My son and myself are wanting to get some reliable (cheapish) 2 way radios that will provide decent range (up to approx 1km separation) in wooded and urban areas. Would these be suitable and would they be UK legal without any form of licensing, or would we need to obtain licenses? The Baofeng UV-5R are transceivers for the amateur radio bands. Therefore to transmit with them you would need at least a foundation licence. I have uv-5r unit and i can’t reach the frequency 129.000 down.anybody can help me to reach that frequencies? I have a Baofeng gt 3 when i programme a Channel I press five of the six numbers and when I press the six number it says cancel And they all go back to 0 please can you help me many thanks. I am also battling with this , have you found a solution yet? is there a list of channels that would help get people started on the baofeng ie calling channels and channel steps or even a download to copy to the radio..
what menue is used to make unit SCAN FREQS OR SCAN CHANNELS.TKS. Hi how do you enter a 5 digit instead of 6? I try zero before the 27.275 but it wont let me plz help thnkyou. SO FRUSTRATING!! I have the Baofeng UV-5R, I can transmit perfectly fine, and my transmissions are heard by my group fine (they use Yaesu). However, when anyone transmits to me, I can hear them, but it’s so distorted that I can’t understand what they are saying. On our close up initial radio checks, everything is fine and I hear them loud and clear. However, once we are about 1/4 mile apart with a clear line of sight, it goes south. I added the Nagoya 717 but no improvement. We are operating on VHF 146.460. Can someone please help? I can hear people on the radio but no one can hear me. I am confused about the CTCSS also. Is this my problem? I’m a new Foundation licence holder with a UV82L which I’ve managed to get working on the local repeater at Buckhurst Hill but am otherwise confused about which frequency’s I am allowed to use for voice calls. I’ve studied the band plan but its not clear to me exactly what frequency’s I am welcome to program into my device. Is there a default program list I can down load? Can anyone advise? 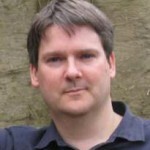 Robert, take a quick look at UKrepeaters.net and that give you some more repeaters. Where you are you sound local to me so you should have GB3HW in range. Also take a look at http://rsgb.org/main/operating/band-plans/vhf-uhf/144mhz-band/ which is the 2m band plan. I have a couple of Baofeng radios (UV-5R and BF888S) along with a couple of Retevis RT7 radios. The BF888s and Retevis RT7’s are programmed to the same frequencies to allow them to work together but when I program the same frequencies into my UV-5R I get nothing on receive from the other radios unless I defeat the squelch. I noted all the options for turning off CTCSS and DCS tones in the software (I have used Chirp and VIP) and progammed the frequencies with no problems. What am I missing here?? I know that the other radios are programmed with no CTCSS or DCS and the CHIRP / VIP software tells me the same for the UV-5R so I am confused. The radios are in the same room so surely a squelch setting can’t be the reason…..oh and just to confuse the situation further….the other handhelds pick up the UV-5R perfectly so it is JUST on the receive side. Any advice would be appreciated. If the Baofeng can’t hear signals from the other radios, the most likely causes are either the squelch on the Baofeng is too low, or the other radios are sending CTCSS/DCS (and the Baofeng’s not set to receive them). If you’re 100% sure the other radio aren’t transmitting any tones, then check that the ‘CT’ and ‘DCS’ icons on the Baofeng screen are off. Hi I’m trying to configure a Baofeng to work with Motorola T80s in Group mode… has anybody had any luck? Hi There , im a 1st time user of a Baofeng UV-5R , when entering the 6 digits for a frequency in frequency mode , the 1st 5 digits enter but as soon as I enter the 6th digit it says ‘cancel’. Any help on resolving this?? I have difficulty manually programming UK business light frequencies – anyone know what the frequency steps are? I spent so much time getting the radio to talk to my PC, or vice versa, I thought I was going to go mad as it was so frustrating. I tried all the recommened fixes, old drivers, new drivers, volume up/down, switch off-plug in-switch on and all combinations thereof, sitting down, standing on my head – well you get the idea. But I did stop at cutting the connector to fit the radio as in my case this clearly wasn’t necessary and anyway I can’t be trusted with a knife! However for the benefit of others I seem to have found a simple way to overcome these issues that works, at least in my case. It tends to disprove all the other theories but there you go. My method was based on the idea that maybe there was some data ‘up the pipe’ when I tried to run CHIRP which was getting in the way of the protocol as it was obvious the program was trying to talk to the radio but failing. Without the benefit of a data stream trace, this was just a guess based on my long, hard won, experience with serial communications. Connect up the radio via the USB cable to your PC and switch it on – I don’t think it matters a jot which way you do this. Run CHIRP and, as a test, trying sending or receiving data to/from the radio (Radio menu Download/Upload). If it works, great, if it doesn’t (and here comes the secret slightly techy bit), go into Device Manage on your PC, locate the driver under Ports (Prolific USB-to-serial-bridge in my case), right click and disable it. Then, having done that, right click again and enable it! Simple eh? Now try uploading/downloading (as you wish) from the radio again with CHIRP. In my case with limited testing this works every time whereas before with all the tests I did my success rate was worse than that of winning a million on the lottery – and no I haven’t in case you are wondering. Of course this won’t cure ‘other’ issues but it may just help those of you who, like me, were going round in ever decreasing circles! In scanning mode i listen to two separate towns on the same frequency but on different ctcss tones. I have the two towns entered on separate channels in the radio with their own pl codes. however if town 1 is talking and my radio scans and stops on town 2 first, different pl code, it stops on town 2, with no audio, until town 1 stops transmitting. It appears, unlike other radios, that the pl codes only stop the squelch from opening up but still stop and hang up on the channel anyway. Any ideas on a fix for this problem? Hi, this is a beautiful and well written guide. May I know why do you need to turn off the “Roger Beep”? Is the Roger Beep a function that sends a beep to the person receiving the message, after releasing the PTT? As the roger bleep is not generally used in amateur radio. Also on repeaters most transmit a tone so it becomes redundant. Hi Pete, A friend has a 5RC and the voice prompt is on but the volume is too low, can that be changed? I think that’s the voice prompt that says ‘channel mode’ etc. when switched on. The voice promps are linked to the handset volume… so it should go up by turning the volume up on the handset! I have UV5R And for some reason I can transmit however I cannot share anything coming over the radio. When I program different channels I don’t hear the beeps I don’t sure and for some reason I can transmit however I cannot share anything coming over the radio. When I program different channels I don’t hear the beeps I don’t through the beep, The automated voice, When I switch from channel mode to memory mode. Maido have programs or hit a button that I need to change on the radio itself so that I can hear the automated voice or hear transmissions? Pls I have 4 pieces of the Baofeng UV-5R radio walkie talkie what the best frequency setting for 10-20klm range thanks from Nigeria . Any way to get the UV-B6 to send DTFM? live in Santa Cruz, CA. and need to know what settings to put in so i can listen to local police dispatch. anyone able to walk me through it?